Find out more about the pilot project! 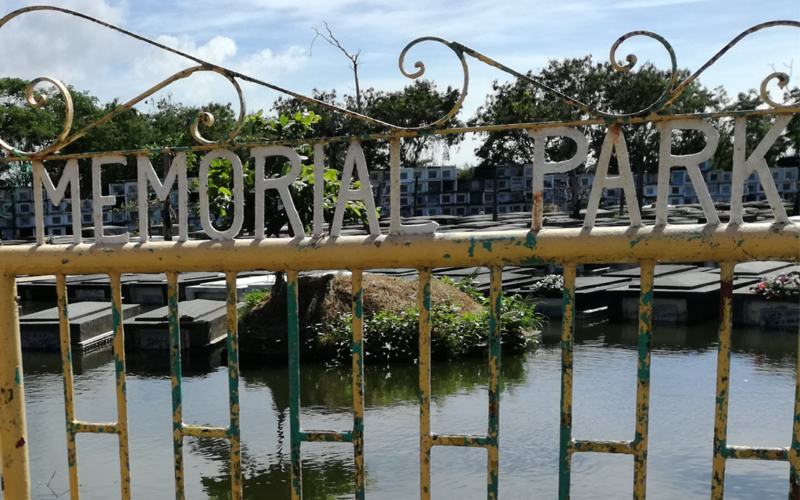 The future for tropical flood plains. 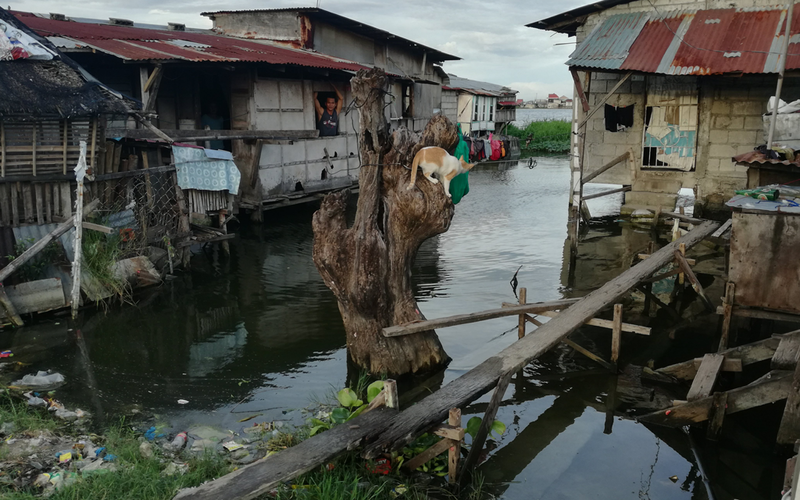 In the overpopulated deltas of the Philippines, people live in areas that experience daily flooding. 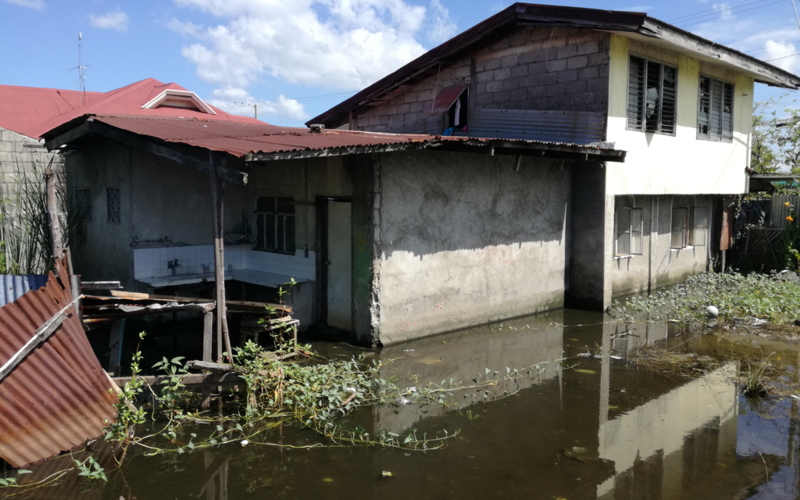 The demand for safe and affordable housing is immense, yet available dry land is scarce. 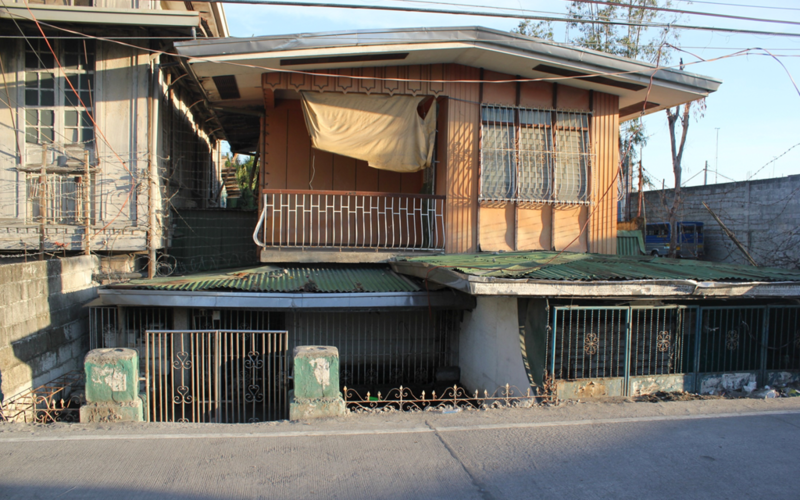 Our floating home will enable Philippine families to live in an affordable, safe and comfortable home. 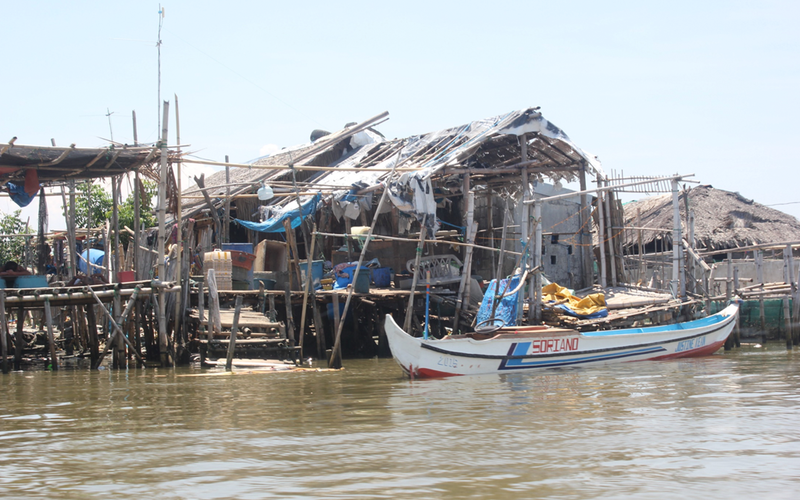 A large part of the Philippine population lives in low-lying coastal areas. 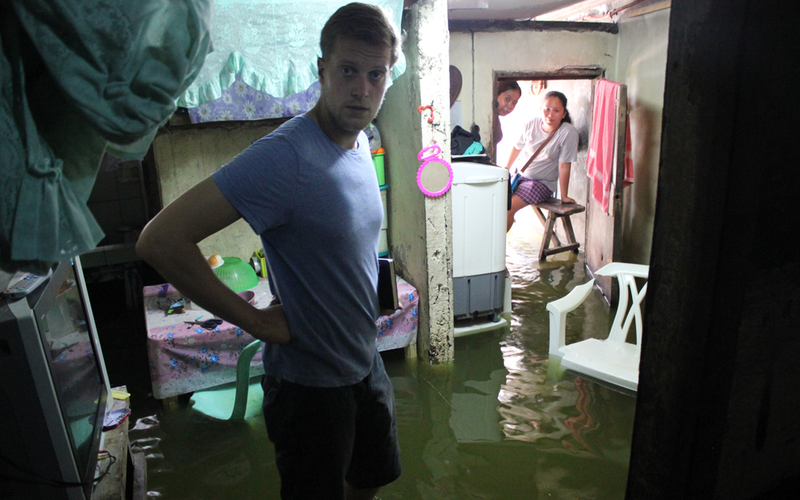 Tides cause daily flooding in the Philippines. As a consequence of excessive groundwater extraction, the land is sinking at annual rate of 4.5 centimetres. Land subsidence is clearly visible and plays a crucial role in the daily floods. 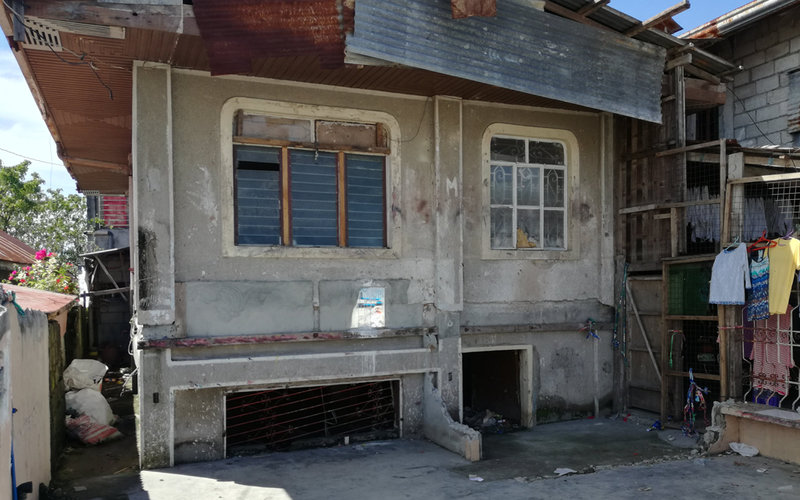 Many homes are built by residents with the use of found materials, which generally results in unsafe homes that offer little resistance to the natural elements. 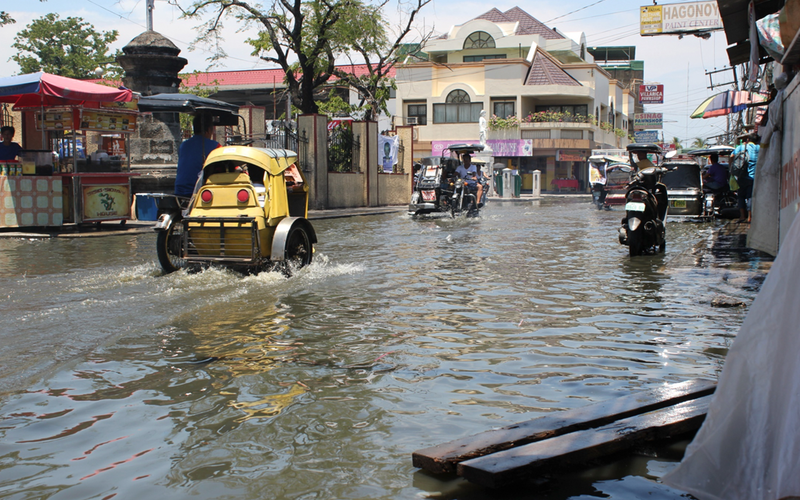 Floods also occur regularly as a result of heavy rainfall. 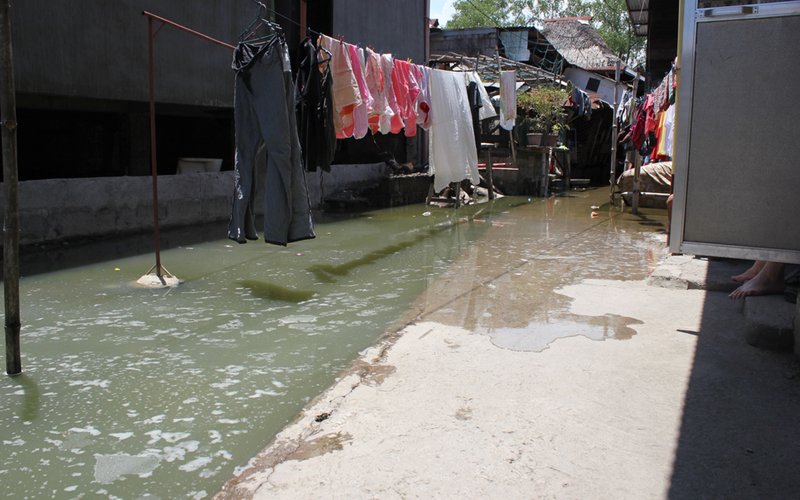 From May to October, the situation is aggravated due to the summer monsoon. Due to a lack of buildable land and the growth rate of families, the population density has been increasing rapidly. A vast housing backlog exists in the Philippines and in other parts of the world. 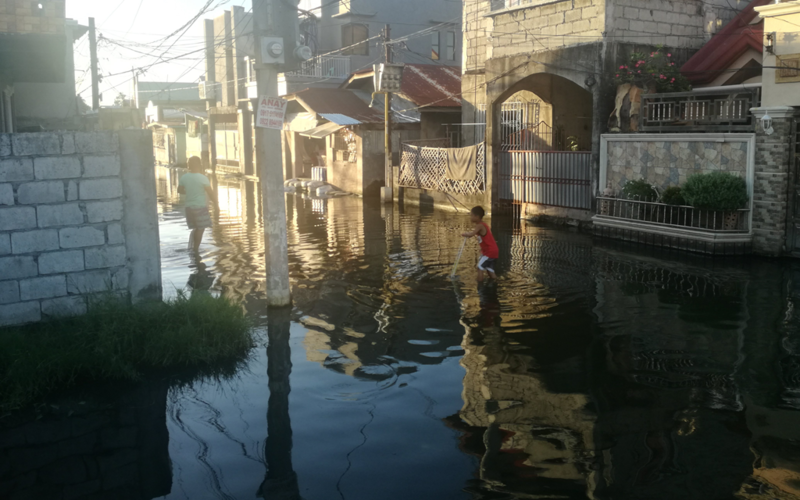 The effects of climate change are rather extreme in the Philippines; the mean temperature is higher, there is more rainfall and the amount of floods and the intensity of typhoons have increased. Furthermore, the global rise of sea level threatens coastal flood plains. 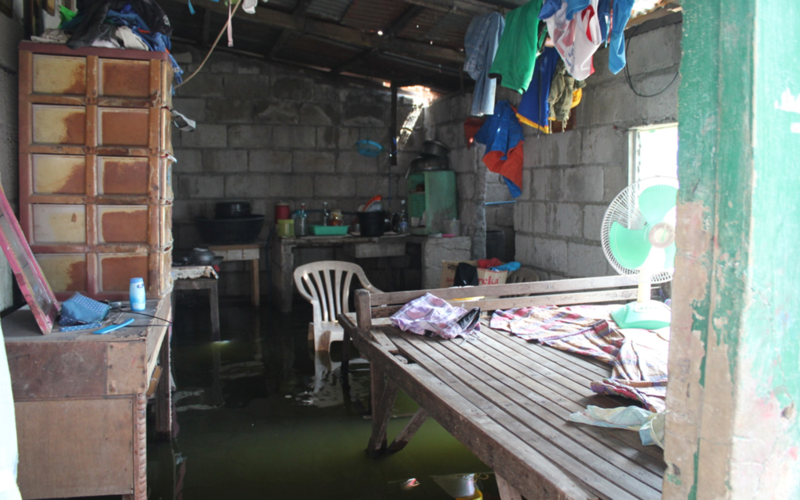 A home that remains dry, even in case of heavy flooding, is possible with a floating home. As the home is resilient to storms, the resident will be dry and safe during natural disasters.  We believe that floating and amphibious housing is the future. Living with the water allows for natural water runoff ecosystems, while the inhabitants can live safely and comfortably above ground. Furthermore, floating homes free up and transform areas that were previously inaccessible for safe living. 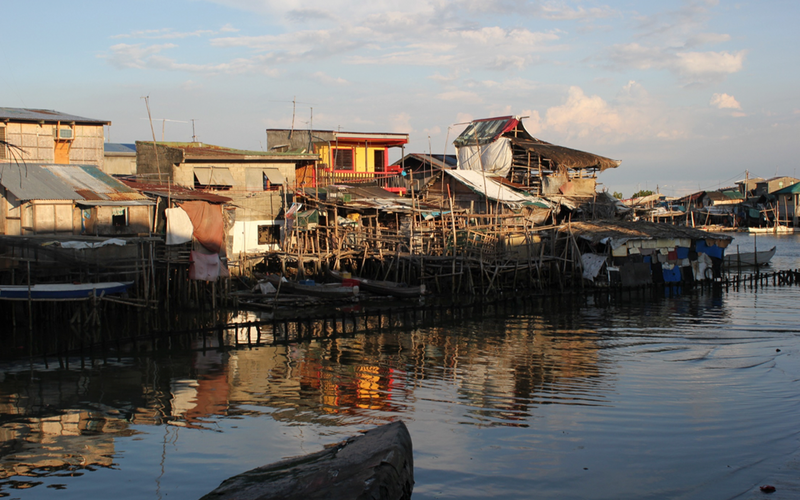 Floating houses can already be found in deltas around the world from the Netherlands to the Philippines. We believe that the concept has the potential to provide a safe and affordable living solution to the middle classes in developing countries. The homes are built in a factory and assembled on location. Local prefabrication guarantees the quality of the homes and allows for rapid upscaling. 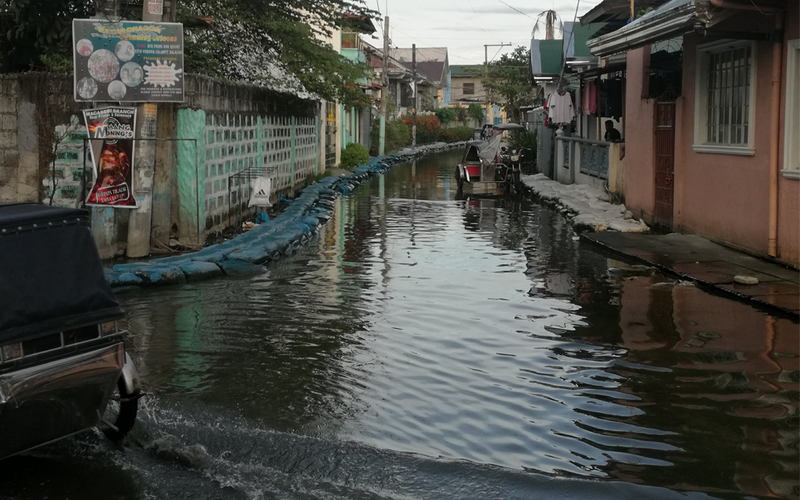 By making smart use of rainwater and filtering techniques, the use of groundwater can be reduced and wastewater can be discharged cleanly. As a result, the use of groundwater is decreased by limiting water extraction and therefore reduces land subsidence. Water is abundant in the coastal area of the Philippines. 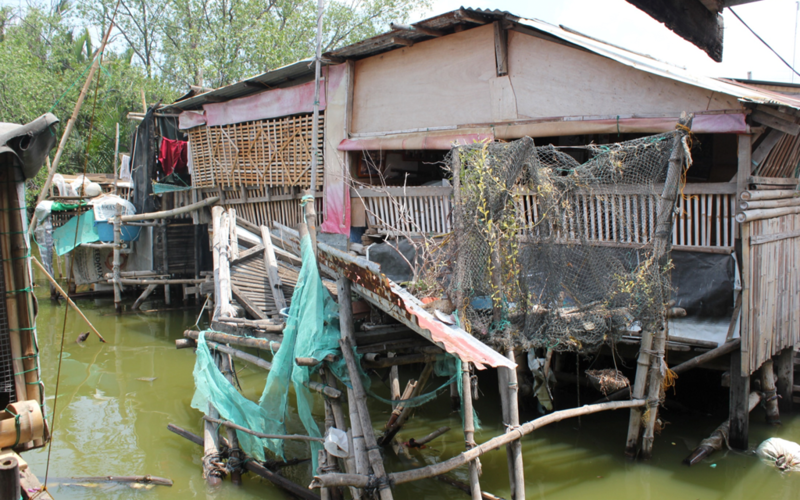 Most of the surface water is not used, but floating homes enable habitation in these locations. By sustainably using the construction materials, such as local wood and bamboo, and by installing solar panels, the home contributes to the impact on climate change and the reduction of the CO2 footprint.